HumaNature is André Soares, a 23 year old portuguese DJ/producer born in the Azores Islands. When he was 2 years old he moved with his parents to the USA where he started producing at the age of 18, mainly influenced by the Liquid Drum & Bass movement. 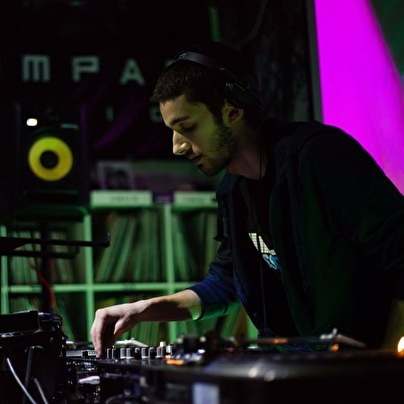 In 2014 he moved to Oporto, Portugal to pursue a career in the Drum & Bass world. Despite his young age, HumaNature already has an impressive number of releases under his belt. Amongst those, a co-lab between Skeletone & Silence Groove, released as a 12" vinyl on the dutch label Fokuz Recordings. This year, 2016 he is taking a different approach with his career and is working much closer with Fokuz Recordings. He has already signed his "Bring It Back EP" that will release on July 18th. Besides playing in the USA and Portugal, his talented has landed him gigs in Spain, Czech Republic, and in the UK, alongside artists such as: DJ Marky, Marcus Intalex, Makoto, Lenzman, Etherwood, Seba, Naibu, InsideInfo, Blu Mar Ten, Gerra & Stone, Skeletone, Silence Groove, Liz-E, Dave Owen, Calculon, Pixel, Bass Brothers and many others. He will be doing his Let It Roll debut this summer at the Fokuz Recordings stage. His music has DJ support from the likes of DJ Marky, LTJ Bukem, Technimatic, and Intelligent Manners just to name a few.